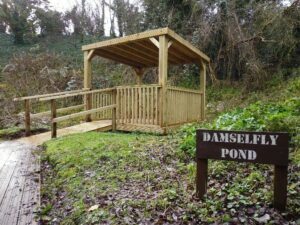 We now have a permanent timber gazebo adjacent to Damselfly Pond. We have planned for this structure for nearly 3 years. However, we have recently benefited from a number of donations from the Co-op, some of which we have used to finance this gazebo, which was built by Albion Fencing (who supplied and installed our new Education Shelter in the Willett Educational Garden just before Christmas). 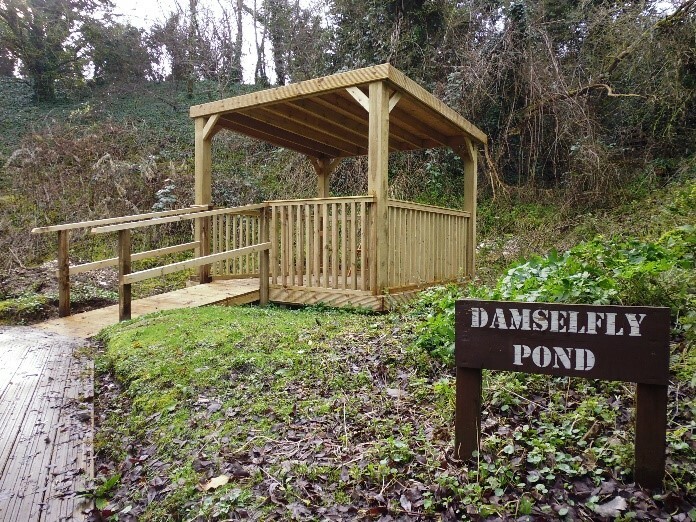 Not only will this shelter enable pond-dipping activities to continue when it is raining, it also provides a nice place for people to have a rest and enjoy the pond: it is wheelchair accessible by the way. We just need to equip it with a table and some chairs for it to be complete. The next job at this location is to transport and install the shed currently residing at Drapers Windmill, which Trustee Steve Villette has kindly procured for us. It is in need of some TLC, but nevertheless is serviceable as a store for all of the pond-dipping equipment, to save transporting it over from storage elsewhere on site. 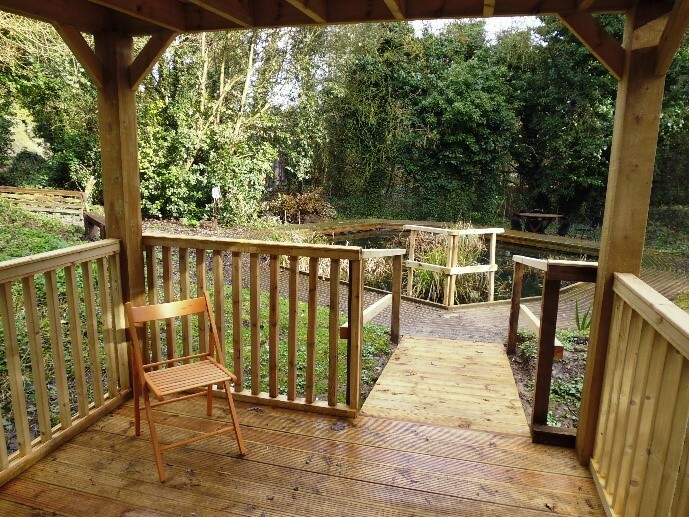 This shed will be sited to the north of the pond, in the clear area just off the decking. Then we will be ready for our next summer season of visitors! Tweeters may be interested to know that the Twitter link at the top of each page now takes you to our correct, functioning Twitter site.